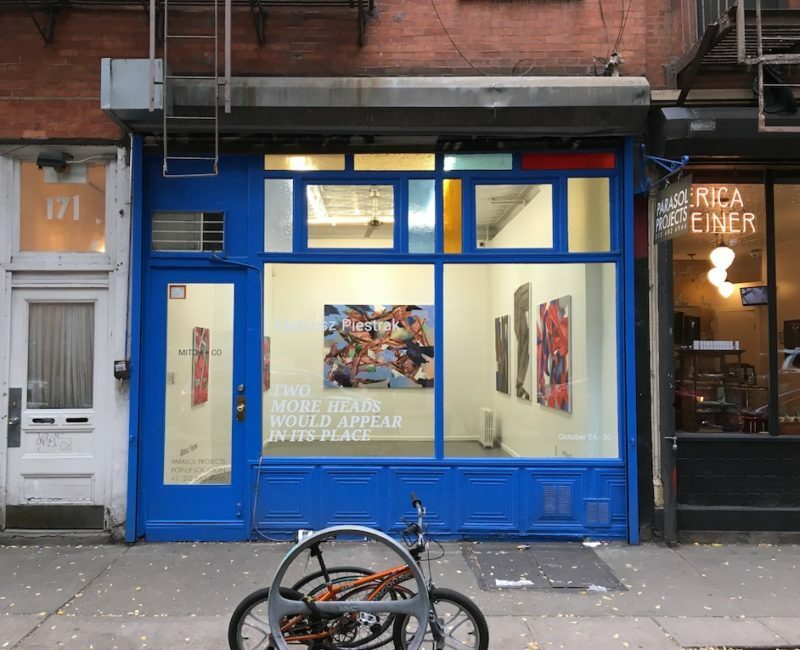 The recent work of Berlin-based artist, Benjamin Rubloff (b.1975; New York) engages with the history of abstract painting. 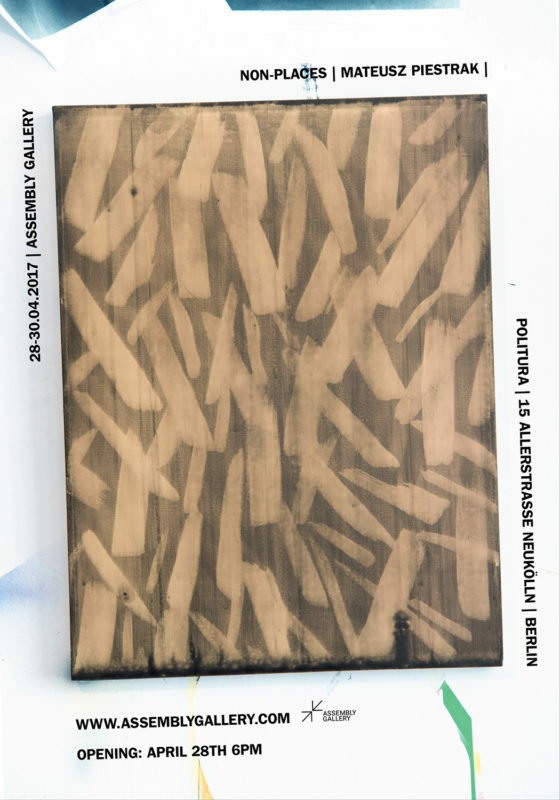 In the current show, he quotes two modes of abstraction—suprematism and gestural painting— upending them through plays-of- hand that challenge our expectations about modernist painting. What if you look at the painting as it were a beetle? Think of its iridescent wings rather than ecosystem in which it exists. What if you look at the painting with your eyes closed? Try to remember what you see behind the eyelids and hold the image until it disperses. 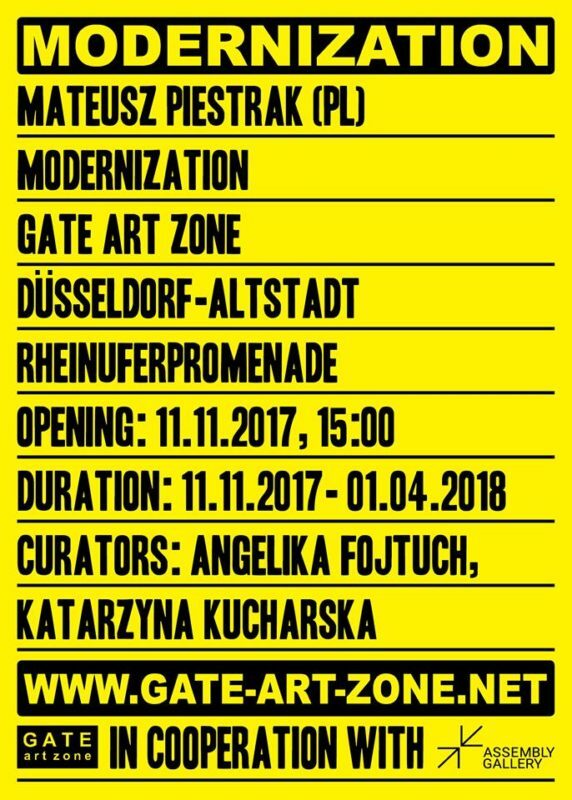 „Modernization” by Mateusz Piestrak is a painting imitation of the reparation process realized at the GATE art zone Artspace in Düsseldorf. 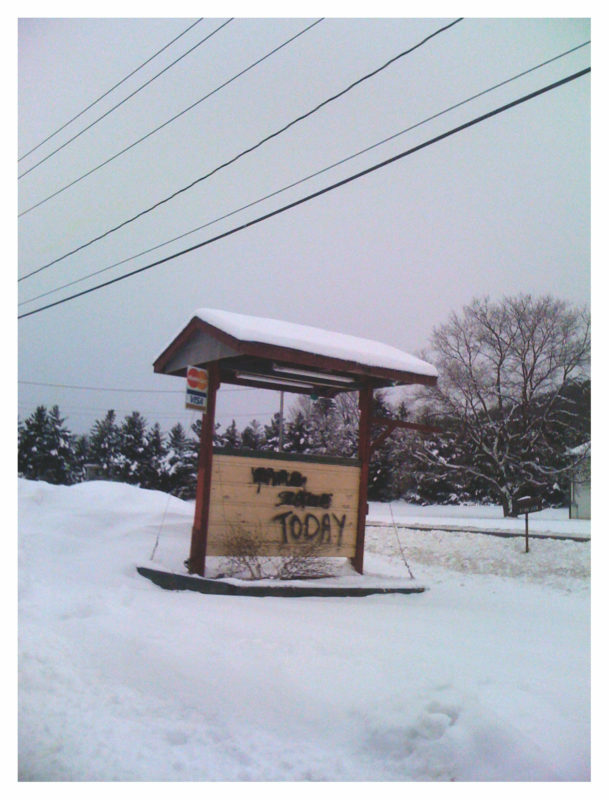 The exhibition „Next Day vol. 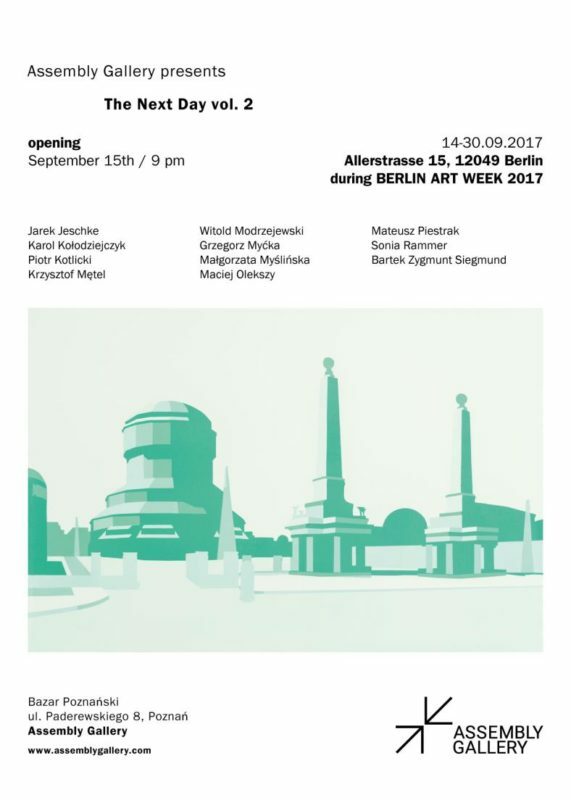 2”, the second opening of „The Next Day”, took place at the second headquarters of Assembly Gallery in Berlin during Berlin Art Week. 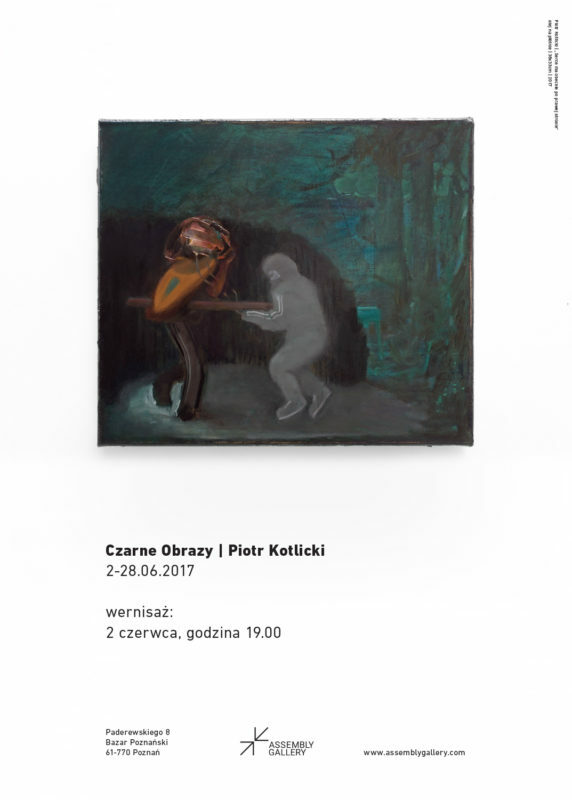 When we look at the paintings by Mateusz Piestrak, a young Polish artist from Poznań, we firmly believe that painting is not only a way to establish subjective reality, but it is also, if not primarily, a kind of mirror in which the contemporary world is reflected. 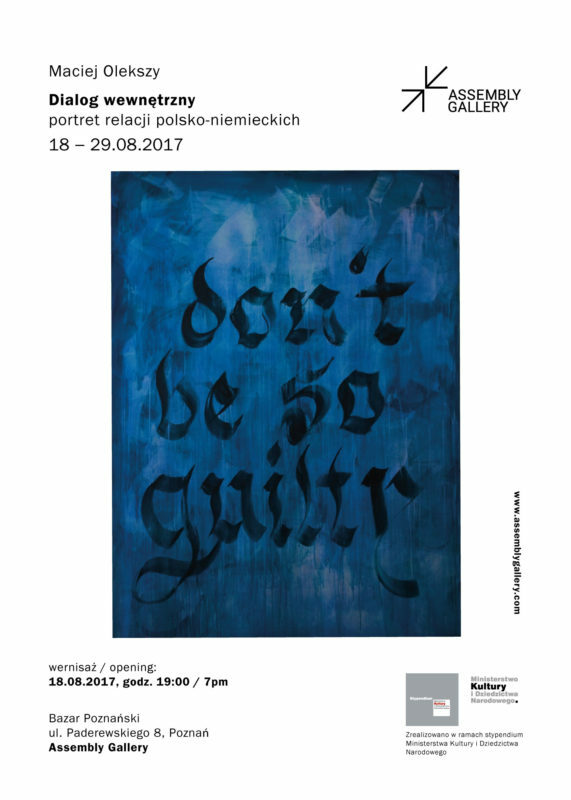 Maciej Olekszy's painting exhibition deals with the complex and delicate problem of Polish-German relations. The cycle of paintings is dominated by a series of faces and eyes of individuals whose identities have been formed where Polish and German nationalities meet one another, where these two identities are adjacent to or penetrate one another, and when the border between them has been abolished or violated. 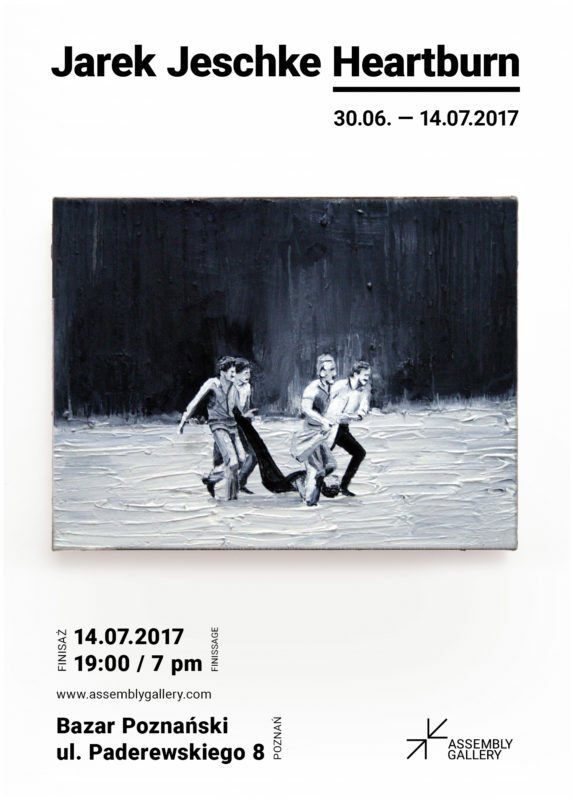 The Cuban cycle of paintings by Jarek Jeschke bears hardly any signs of the Latin American Baroque that is announced in the title of the exhibition, Heartburn1, held at gallery Assembly in Berlin (23 June – 7 July 2017; Curator: Katarzyna Kucharska). According a dictionary of film studies, ‘film noir’ (French for ‘black film’ or ‘dark film’) is a particular type of American thriller film that emerged in the 1940s and the first half of the 1950s. 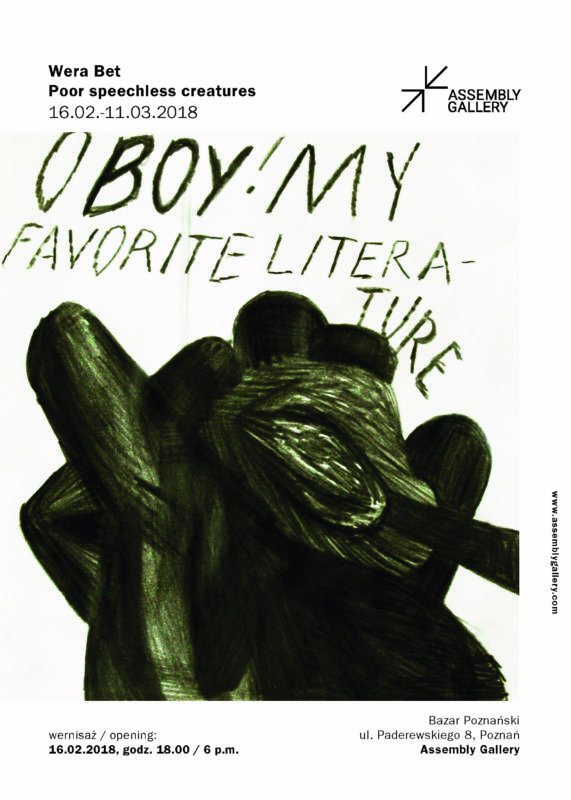 It contains elements of gangster films and crime stories, and frequently asks questions about male identity. 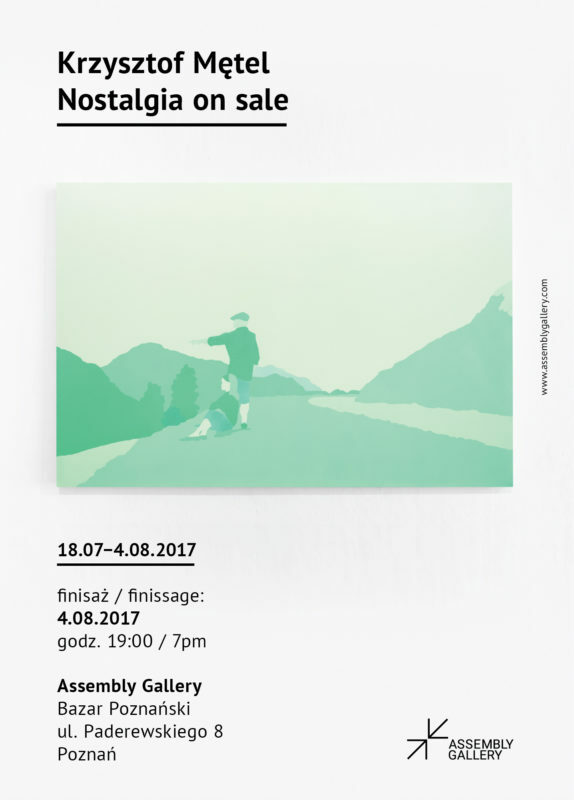 (…) Mateusz Piestrak presents a kind of quasi places and quasi things. On the one hand, they relate to something familiar; on the other hand, they are a product of new times and the associated aesthetics. His non-places lead to transcendental experience, becoming manifestations of existence in depersonalized supermodernity, as Marc Augé refers to the modern world. 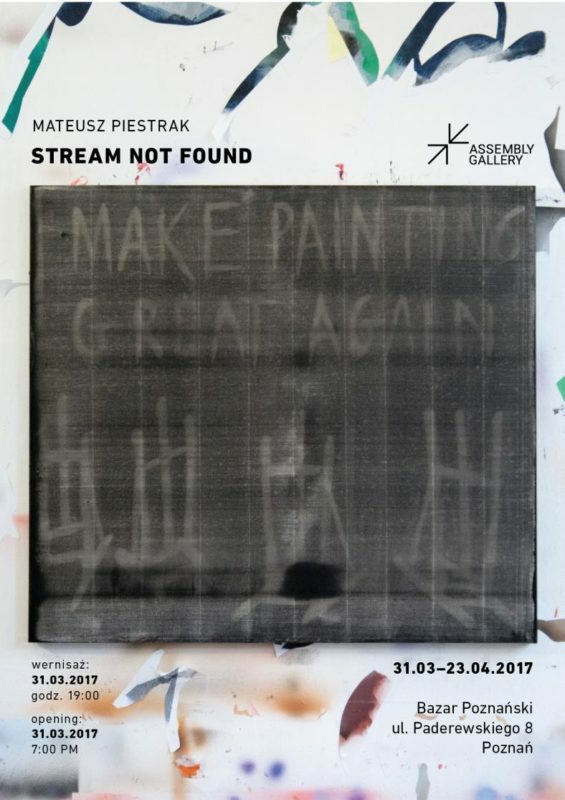 In the new series of paintings titled Stream not found, Mateusz Piestrak develops his concept of „discovering” the image, which he started in Visabilities (2015-2016). Motives undertaken by the artist stay in constant motion, in the condition of indefinable ambiguity. The disease - as we know from Susan Sontag - can function as a metaphor. 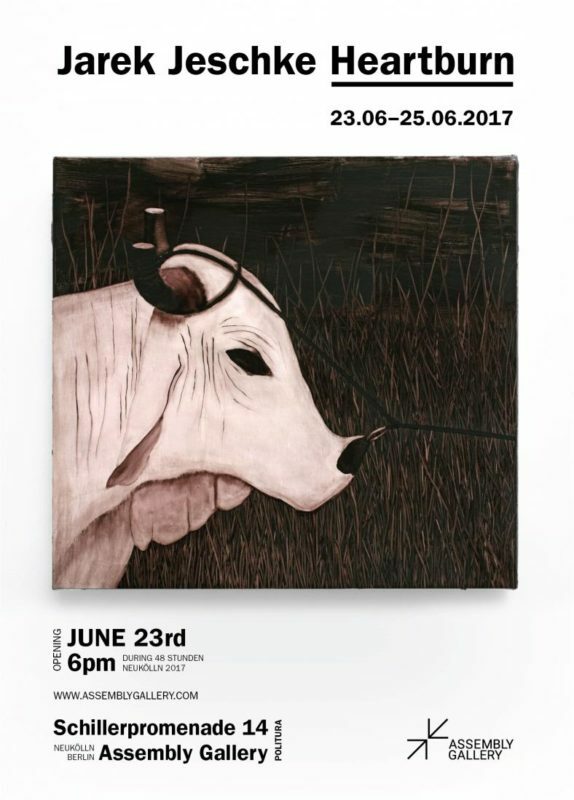 This happens also in relation to the latest paintings by Celina Kanunnikava that focus on diseases of the modern world. On the conflicts and political tensions or regimes which give one and only correct message and drown out other voices of freedom. 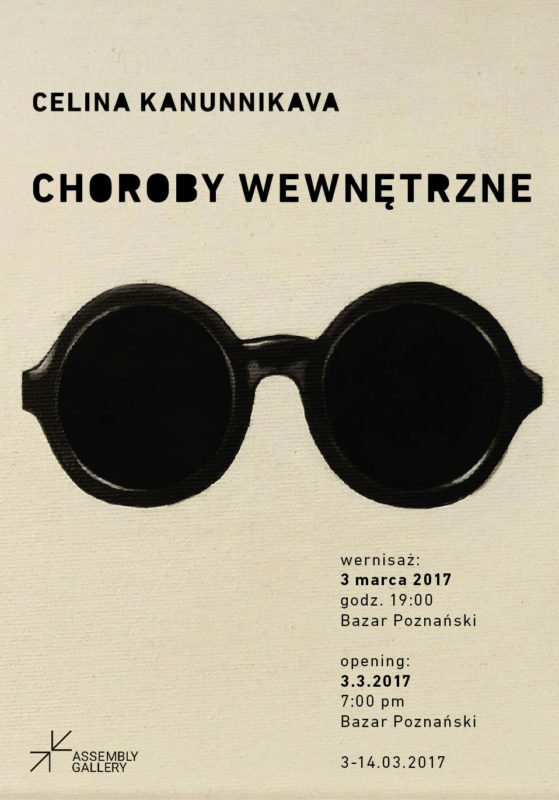 The exhibition „The Next Day”, inaugurating the gallery is an attempt at confronting selected artistic positions having the ambition to "know" reality. What is the present day? 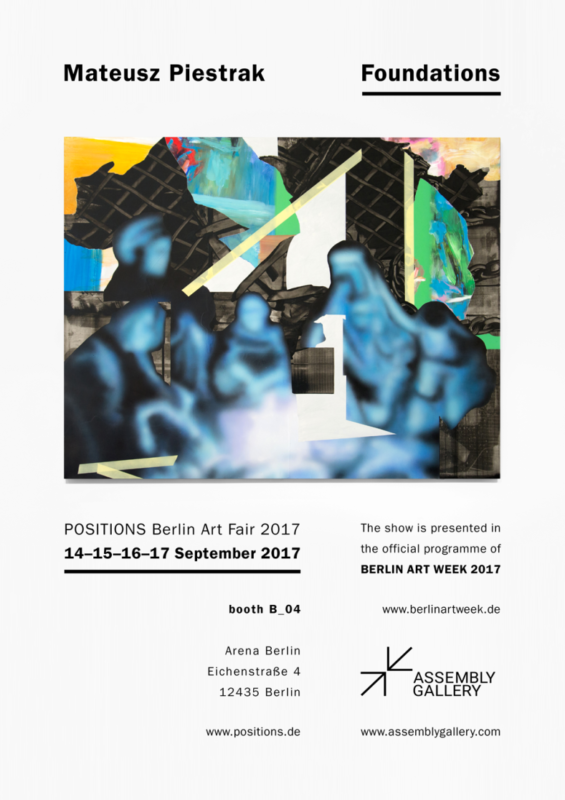 Are artists interested in the future and what is the vision of tomorrow emerging from their work?